Being born to a family of type 2 diabetics has been both a curse and a blessing to me. On one hand, knowing that I am genetically predisposed to this disease is like having a gloomy cloud over my head. Sometimes when I get a regular headache or have to "go number one" a little more frequently than usual, my paranoia will start chanting the word "hyperglycemia" in my head. On the other hand, the same paranoid little voice has always pushed me to take excellent care of my health, so I'm not only diabetes-free but also very healthy. As much as I try to maintain good eating habits, however, I do have one weakness. I love, love, love, love to bake sweet treats! I simply cannot and will not quit baking. What I can do, though, is make my desserts more healthy and diabetic-friendly. 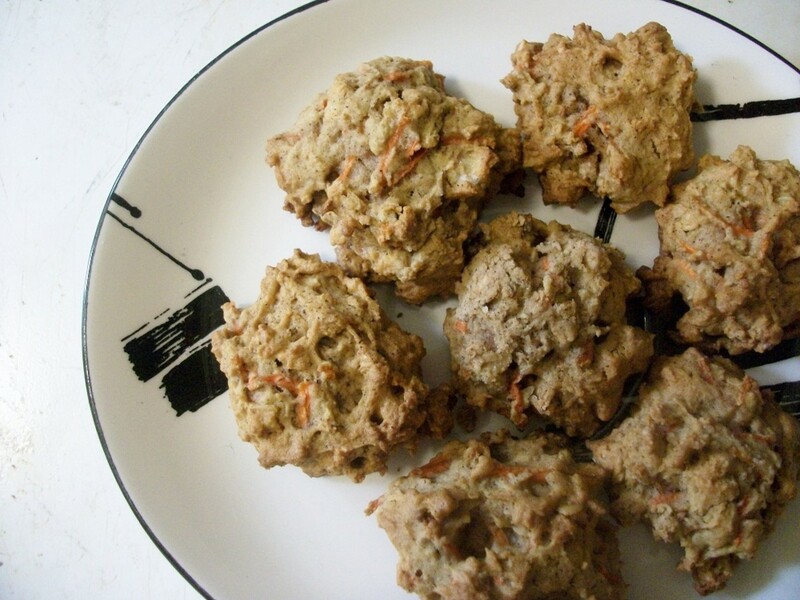 The carrot macaroon recipe I'm sharing with you today is really great for diabetics, as it is high fiber, low sugar and cholesterol-free. Yet, this doesn't mean diabetics can just munch on them all day or enjoy a whole jar of them at once. These cookies are low-sugar but not sugar-free, so portion control is still very important. 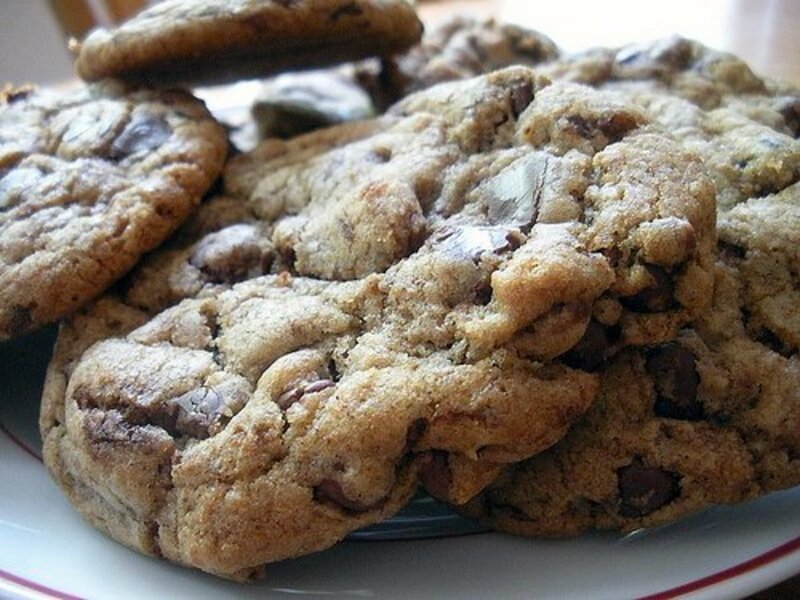 How would you know how many cookies you can eat without risking a blood sugar spike? Here's an effective way to judge it: monitor your overall diet, count your daily carb intake and decide how many of these carrot cookies can fit into your diet plan without exceeding your carb and calorie allotment. I'll share the nutrition facts of this recipe at the end of the article. But now, let's start baking! Carrot - This bright orange vegetable is rich in dietary fiber, a vital component of a diabetic diet. Fiber decelerates sugar absorption into the bloodstream and promotes better blood-sugar control. Plus, it can also lower cholesterol and reduce the risk of heart disease, one of the most common diabetic complications. Whole-Grain Granola - Granola usually consists of rolled oats and nuts, which makes it a high-fiber ingredient with a boost of protein and healthy fats. For this diabetic cookie recipe, try to use whole-grain granola with no added sugar, honey or dried fruits. If possible, choose a brand that is labeled "sugar-free" and "high-fiber." Unbleached All-Purpose Flour - This brownish flour may not look as nice as white flour, but it surely is better for diabetics' health. According to the Organic Consumers Association, alloxan, a chemical that makes white flour appear so "clean" can actually harm the beta cells in the pancreas and cause the body to produce less insulin. In other words, it can put non-diabetics at risk of developing diabetes and worsen the symptoms in those who already suffer from the disease. Unbleached flour, although a high-carb ingredient, is free from harmful chemicals that can handicap your pancreas. Egg White - As diabetics are prone to heart disease, it is important to limit the consumption of cholesterol, a type of dangerous fat that clogs the arteries and causes all kinds of cardiovascular problems. While one whole egg has about 180 milligrams of cholesterol, egg whites contain none! So for diabetics who like to eat eggs, it is wiser to leave out the yolks. Margarine - This butter substitute has gotten a bad rap for being high in trans fat, another type of harmful fat that not only clogs the arteries but also lowers the amount of healthy fats in the body. However, not all margarines are created equal. While stick margarine is high in trans fat, soft margarine hardly contains any. Some brands even carry the label "trans fat free." Margarine manufacturers nowadays have become a lot more responsive to consumers' health concerns. By switching their main ingredient from hydrogenated vegetable oil to liquid vegetable oil, the amount of trans fat in margarine is significantly lower. 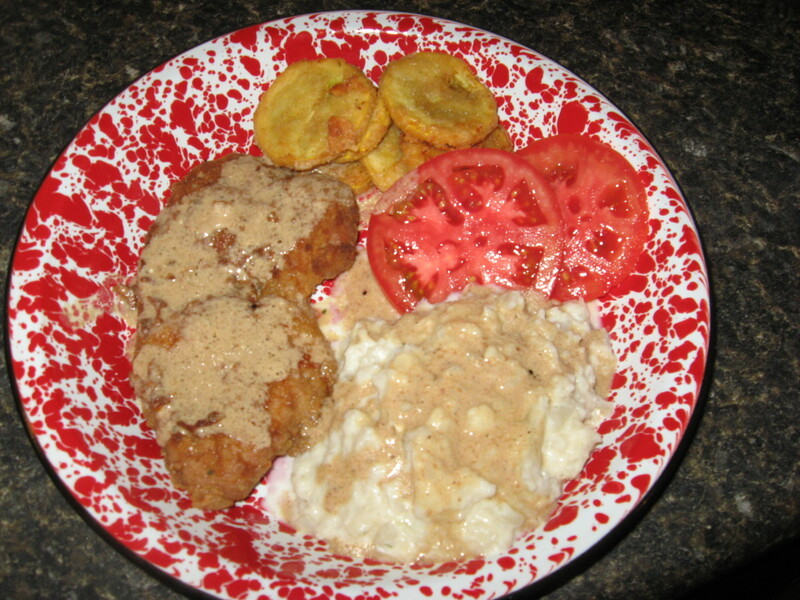 For this recipe, I use Country Crock light margarine, which contains zero trans fat and zero cholesterol. Compared to a high-cholesterol ingredient like butter, it is a lot better for diabetics' heart health. Keep in mind, though, that soft margarine may not be suitable for all baking recipes. 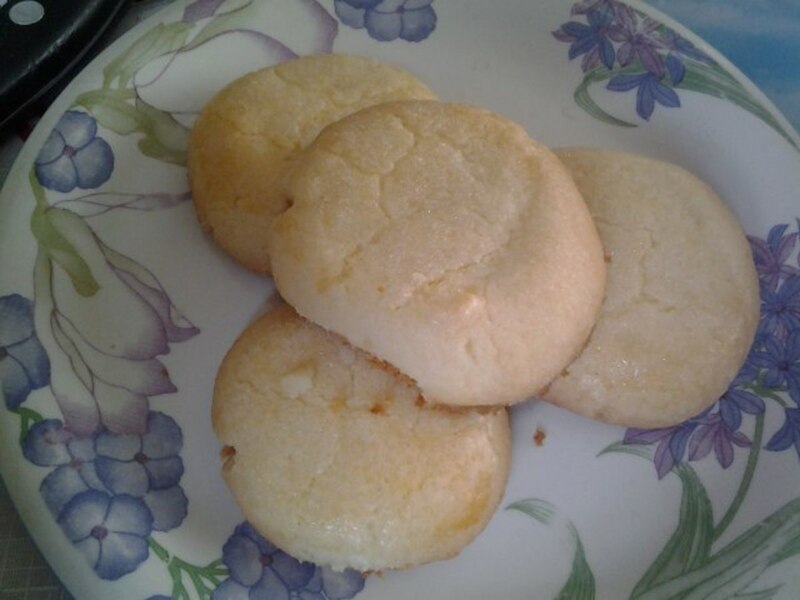 From my experience, it's great for cake, muffin and soft cookie recipes, but doesn't work so well for crispy cookies. Cinnamon - There is another good reason for diabetics to use this famous spice other than its fantastic aroma. Recent studies have found that cinnamon can improve glucose metabolism as well as increase insulin sensitivity. Dr. Joseph Mercola, a physician and author of several health books, has recently written on the Huffington Post that only half a teaspoon of cinnamon a day has been shown to significantly lower blood sugar levels, triglycerides, and total cholesterol levels in type 2 diabetics. 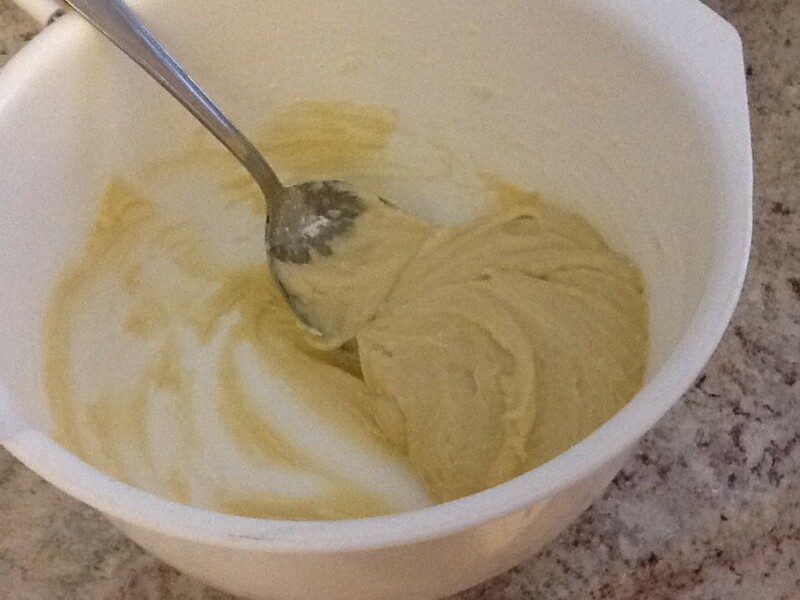 In a large bowl, cream margarine and sugar until light and fluffy. You may do this by hand with a whisk or a big fork, or you may use an electric hand mixer instead. If you're using the same portions of ingredients as shown above, it's not too time-consuming at all to just do it by hand. If you're planning to make a much bigger batch of cookies, however, an electric mixer will save a lot of time and energy. Why is this process important? The better you mix these ingredients together, the lighter and more delicate your macaroons will be. Failing to do so won't affect the taste of your macaroons, but the texture just won't come out as lovely. Add egg white and vanilla extract. Mix together until combined. In another bowl, sift together all-purpose flour, baking soda and ground cinnamon. 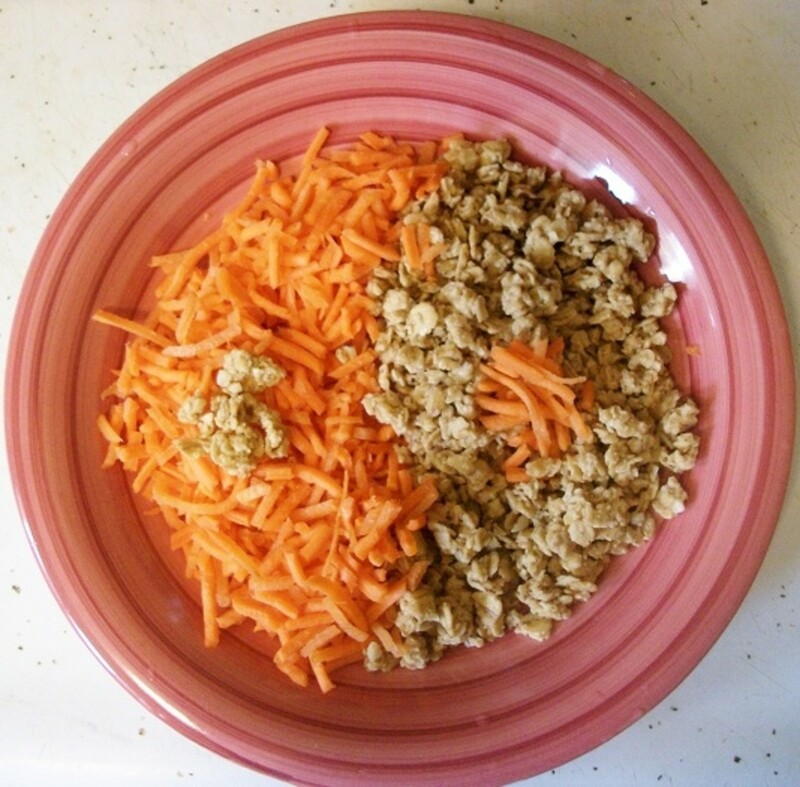 Add the flour mixture, carrot and granola to the egg mixture. Mix together well with a fork. 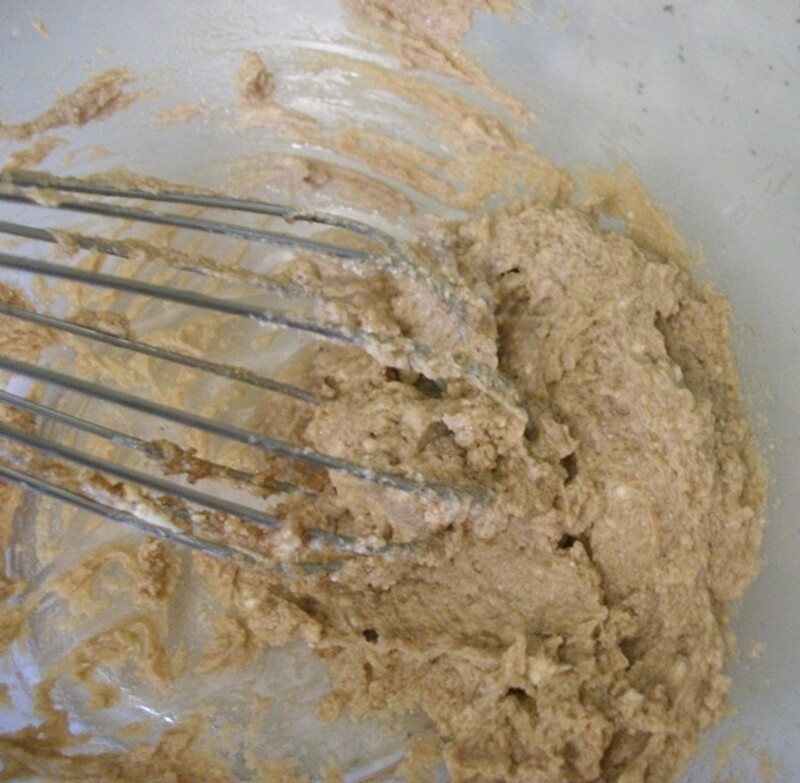 The consistency of your macaroon batter should be slightly dense and sticky, not too soft or too crumbly. Lightly grease a baking sheet with cooking spray. 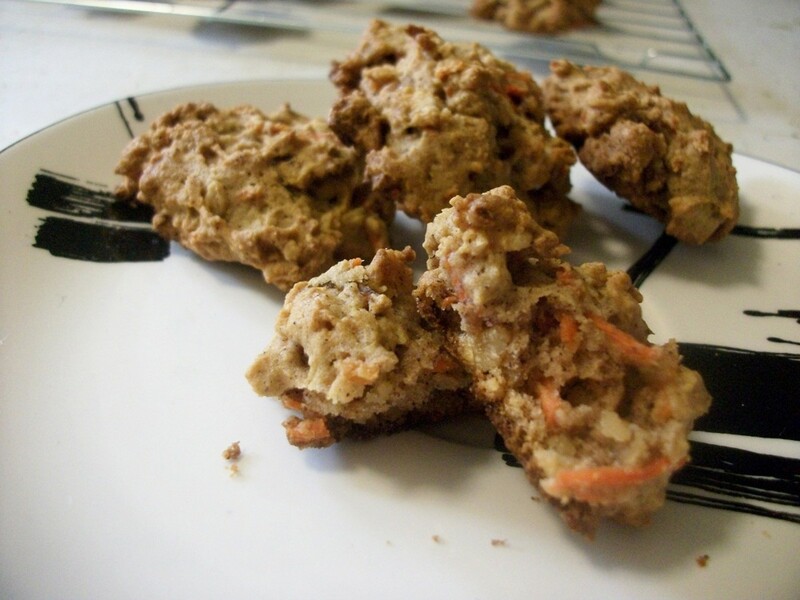 Drop spoonfuls of the carrot macaroon batter onto the baking sheet. Bake in the preheated oven for about 10 - 15 minutes or until the edges start to brown. Remove your carrot macaroons from the oven. 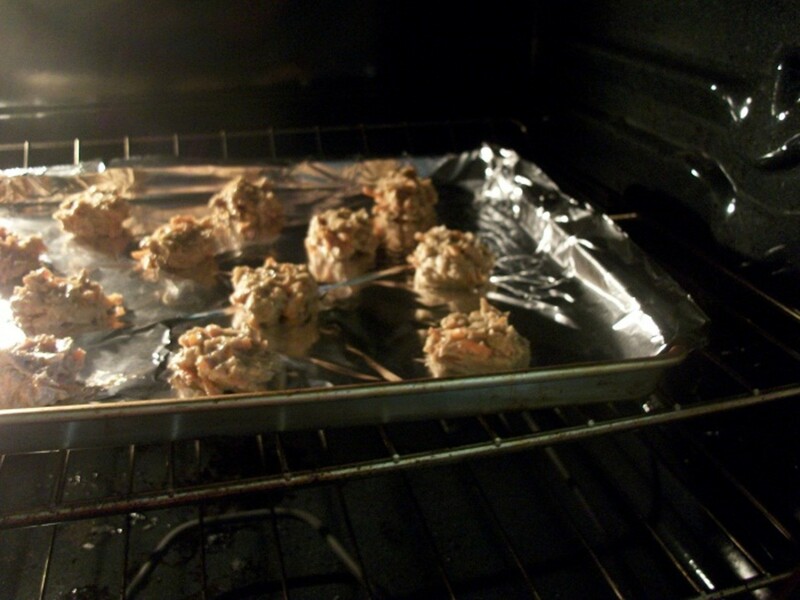 Carefully transfer them from the baking sheet to a wire rack. 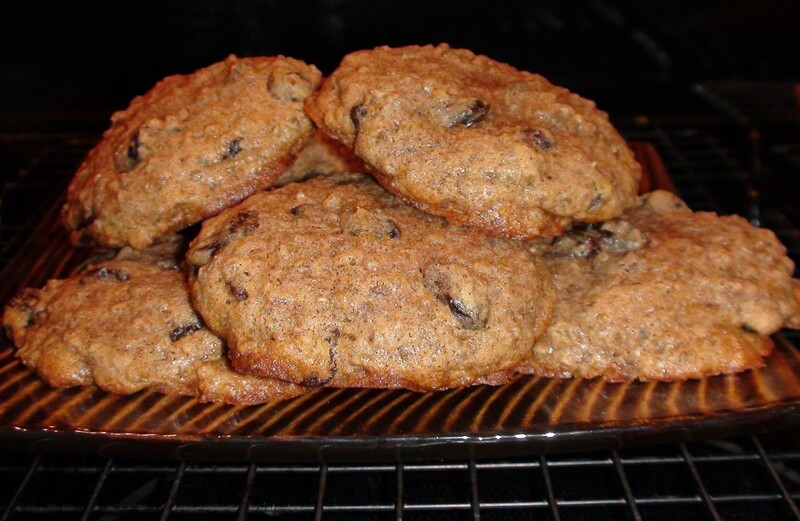 Allow them to cool for about 10 - 20 minutes before serving or putting them into a cookie jar. Dissolve 1 tablespoon of plain agar powder in 1 tablespoon of water. Whip up the mixture, chill it and then whip it again before using. This is a good substitute for one egg white! Also, use vegan margarine instead of regular margarine, which often contains trace amounts of animal products. If you're not going to share these macaroons with other people, don't make a huge batch of them. They only stay good for 2 - 4 days in a cookie jar, and up to a week in a refrigerator. 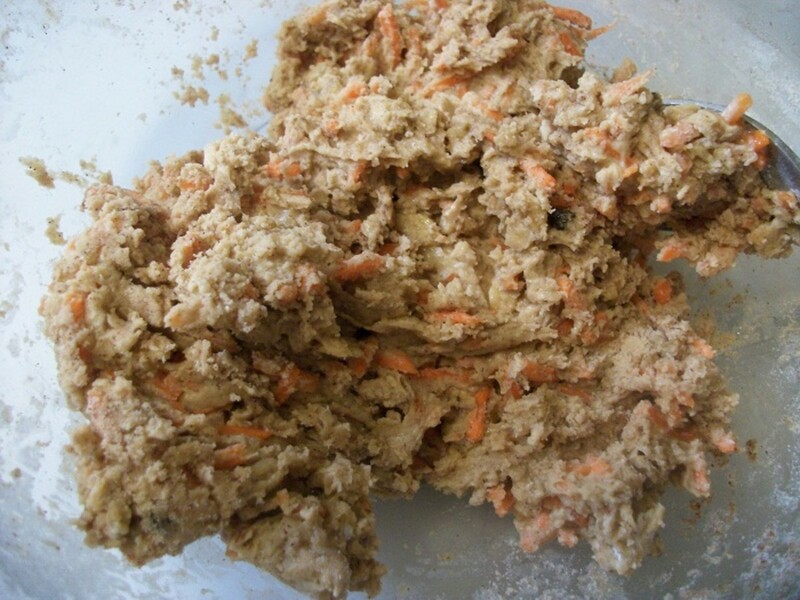 After a few days, the cookies' texture tends to get a bit too soft and the carrot usually loses its nice color. It's best to bake a small batch at a time and invite others to enjoy them with you. If you plan to have these macaroons as an afternoon snack, don't pair them with creamy cappuccino, fruit juice or smoothie. You don't need any extra fat from coffee creamer or extra sugar from fruity drinks. 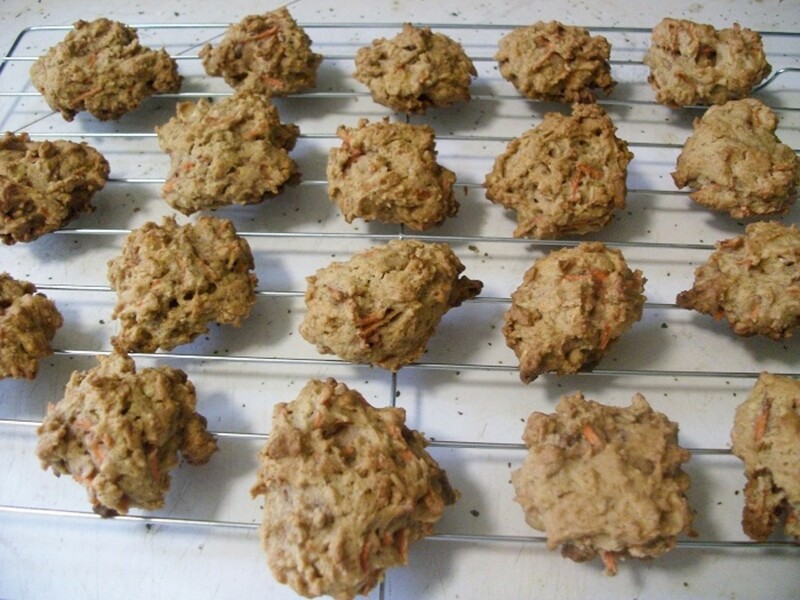 Instead, savor your carrot cookies with a glass of plain, non-fat or low-fat milk, or a cup of tea with no added sugar. I hesitate to make them because I would eat two or three times the suggested serving. That is always a problem! I will definitely have to give it a try. Thanks for a very educational and detailed recipe. Wow, what an absolutely outstanding hub. My dad is a diabetic. He should love this. How did i miss this one? Great ingenious solution to healthy diabetic eating. Nicely done and well-deserved HOTD. 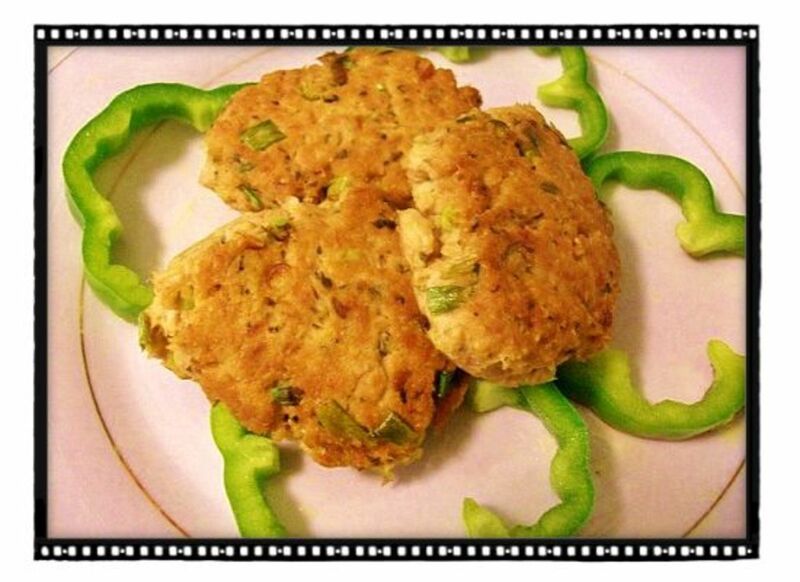 Seems really delicious, thanks for sharing this wonderful recipe! Looks delicious, and it is useful. Smart idea! This looks good! My dad's a diabetic so I will share this with him. Voted up! My family will love this recipe. I am gonna give them surprise. Perfect timing. Looks yummy too. Thanks for sharing it. Voted up and Congratulations on getting Hub of the day award! My sister is a diabetic. So this is a great dessert! Looks tasty. Looks tasty. Nice that you have the grams of sugar and carbohydrate listed. And thanks for pointing out that since it does have some sugar and carbohydrate, it is a good snack to have in moderation, but not to munch on all day. Of course, that also depends on the individual's severity of glucose intolerance and diabetes. Oh, YUM! Macaroons are so good - must try these. Soon! Wish I would have had this recipe while my grandmother was still alive. She was diabetic towards the end of her life and loved sweets, but couldn't enjoy them anymore. Great recipe though and have voted and shared too. Congrats also on the HOTD! What a beautiful hub! I love the step-by-step instructions, nutrition information and pairing tips. Congratulations on Hub of the Day, a well-deserve win! Healthy and yummy. Good combination! This is a great, healthy recipe for everyone. I have to admit my sweet tooth gets the better of me quite often. 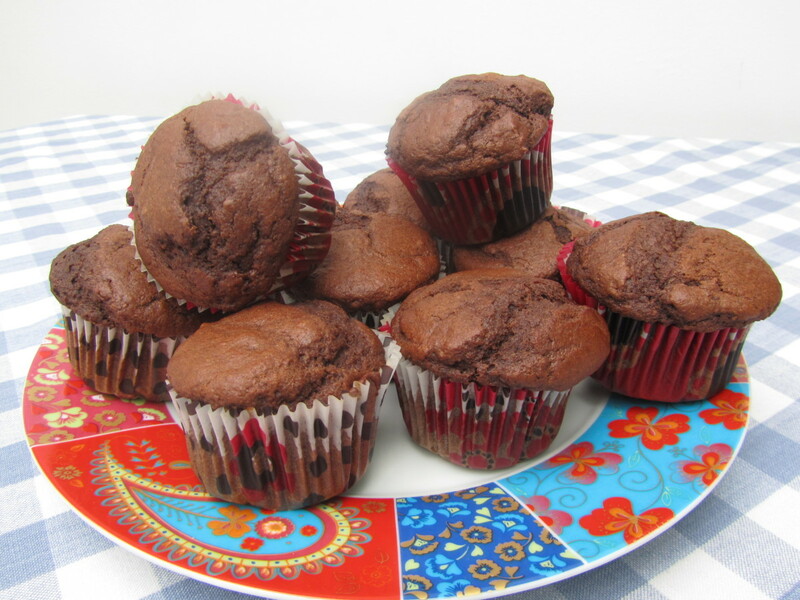 But with this recipe I can enjoy a sweet treat with almost no guilt! I love the idea of using carrots in baking. I like that you included information on portion control and alternative ways to enjoy this recipe. Your photos made my mouth water! Can't wait to try your recipe. 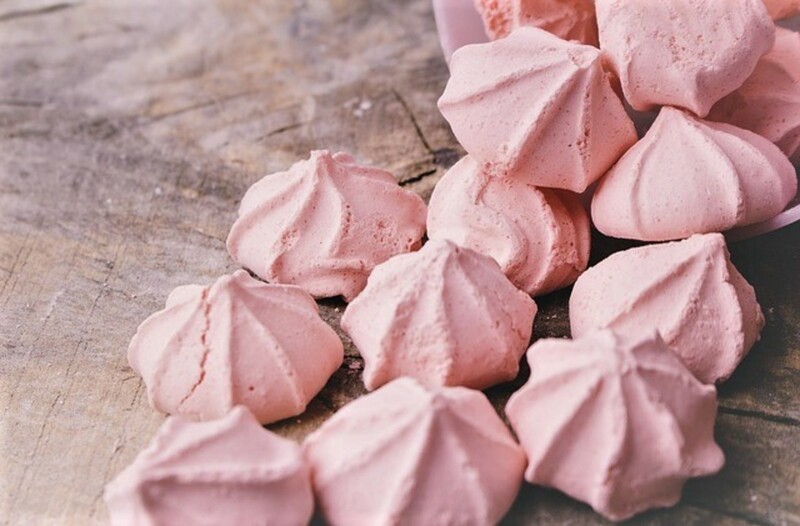 I'm not a big fan of sweets, but this recipe is actually something I feel compelled to try! I LOVE carrots and granola, and these look deliciously crunchy... plus I like that they're loer in sugar, because I'm not huge on super sweet things. Thanks for sharing the awesome dessert recipe! rsusan - Hi Rika! Long time no see! I've never tried using carrot pulp from juicing to make fritters but I'm pretty sure it will work just fine. Austinstar - Hopefully, this recipe will make you like carrots a little more. Thanks for dropping by! Any diabetic recipe is a friend of mine. I will try these even though I'm not too fond of carrots. This came at a perfect time! I was looking for something to make at my families next grill out that my diabetic mom could much on too. Thanks.